Originally, “Jeep” manufactured military cars so that first it did not have any logo. The history of the Jeep company dates back far to the past. In 1938, the US Army decided to replace a traditional sidecar motorcycle and create a new mobile transport vehicle. On the 22nd of December, 1939, the Willys Overland company provided the first drawings of the car, which in the future would be known under the name of Jeep all over the world. The car had to be powerful, maneuverable and easy. The name Jeep was registered in 1950 as an international trademark. The thing resembling the Jeep logo appeared in 1963: it was placed in the center of steering wheels of car models Wagoneer and Gladiator. It was the same time when the company changed the name from Willys Motors to Keizer Jeep, and Jeep was separated into the autonomous brand. 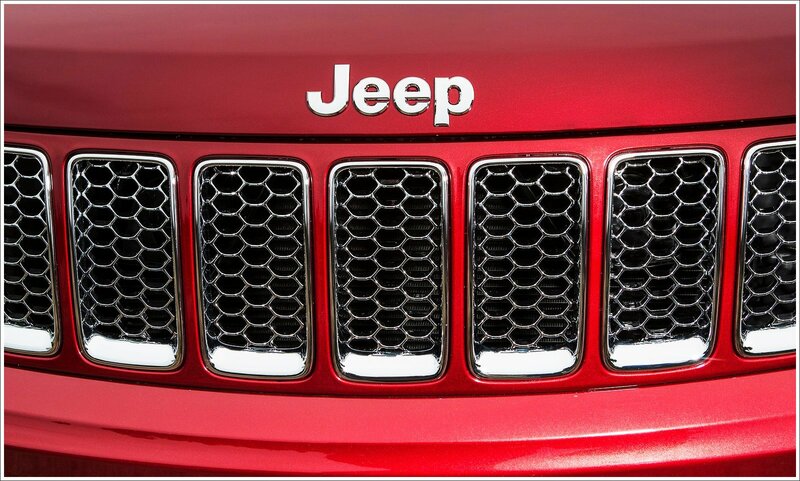 Then, the circle of 2 quarters of gold and 2 quarters of red with the name Jeep in the middle became the logo. Interesting is the fact that the logo was never placed on the car itself. Jeep vehicles have only the word Jeep on them, and the logo is used mainly for advertising and marketing purposes. 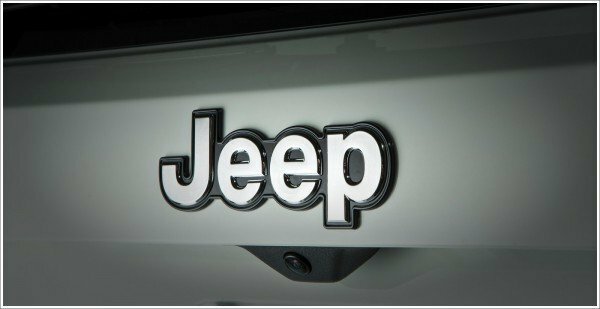 The Jeep logo in its current form symbolizes the front of a car. It consists of two circles (headlights) and vertical bars (the front grill of a car). The word Jeep is located in the upper part of the logo. The dark green color in the Jeep logo signifies uniqueness, originality, prosperity, and growth. The white color features the charm and elegance of this great brand. The Jeep emblem is represented by the classic Helvetica font type. This is the emblem of the most renowned in the world make of all-terrain vehicles. Now the Jeep Company is selling its all-terrain vehicles in more than 100 countries. The company creates seven new concept cars Jeep for the 50th annual Easter safari, which will take place from the 19 to the 27 March of 2016. Very soon, the off-road vehicle Jeep Wrangler of the new generation will be available with a hybrid power plant. This model will be created with reduced weight and fit with a super modern transmission. All this is indicated in the company’s business plan forethought until 2018. Also, a pickup will be produced on the Jeep Wrangler base. And these are not all the plans of the brand. In spite of the common name, cars from the Jeep Cherokee lineup vary a lot. To start with, they belong to different vehicle classes. During its first years, the Cherokee was marketed as a Jeep Wagoneer version. However, later the Cherokee became a compact SUVs, and more recently, this name has been used for a crossover SUV. The car range was named after a tribe of Native Americans. TJ Wrangler Rubicon is one of the most popular off-road vehicles from the Jeep Wrangler lineup. The model boasts a bigger NV241OR transfer case. One of the basic features for the Rubicon trim of Jeep Wrangler is an innovative electronic sway bar disconnect system. The Jeep Rubicon logo features the name of the range in dark gray color with a red fringing.